When I told the service guy at the Acura dealer I had a 6-speed TSX, he said I need to hold onto it as long as I can. The TLX answers why, in spades. 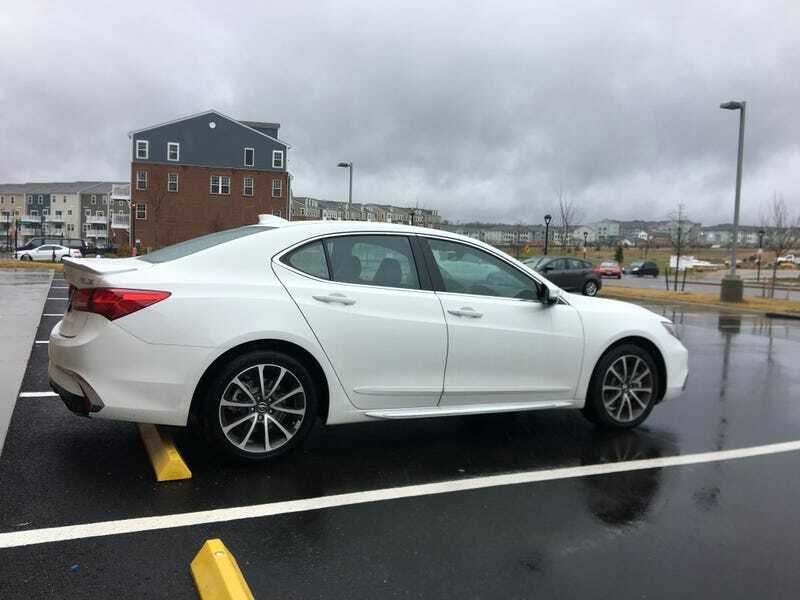 Ever since the Acura TLX came out in 2015, replacing both the TSX and TL, I had been curious about it. Its looks are a definitive improvement over the last generation TL, but reviews had always been ambivalent toward it. With the same 3.5 liter V6 as both cars had in varying trim levels, how could this have been possible? Today, I found out. It’s closer in size to the TL than the TSX, and weighs almost exactly the same as the TSX did. Despite this, it definitely feels heavier, and does not handle as well (which, to be fair, is as much weight distribution as it is anything else). The 9-speed automatic feels clunky, especially in Sport mode, and when in Sport+ and manually shifting via the paddle shifters there’s a noticeable time of close to half a second between hitting the paddle and it actually changing gear. The interior is pretty nice, but not a definitive improvement over the TSX. Most things are controlled via the touchscreen, including the seat heaters, while the TSX had actual buttons for that. It feels slightly less comfortable than the TSX, but has a little more room. Not much, mind you. The rear seats are a little roomier, as they should be for a physically larger car. All in all, the TLX could have been a better challenger to Lexus and Infiniti, but it feels like Acura played it a little too safe. I’ll always check them out when passing them by, but I now know I don’t want one.